If you’re one of the many who battle low self-esteem, your career is probably suffering as a result. Experts say that people with low self-esteem engage in subconscious behaviors that undermine their success, making them less likely to ask for or get promotions, raises and even jobs. There are certain traits in individuals with low work self-esteem: Generally, they are people with low confidence who are risk-averse. They are less likely to speak up in meetings or to take on challenging tasks, which can lead superiors to believe they are ineffective. None of which is good when you’re fighting to stay afloat in a competitive work environment. Low self-esteem may also manifest itself through body language and presentation. That is, saying all of your statements as though they are questions, which makes you seem less confident. Speaking too quietly, which denotes fear, and not making enough gestures to emphasize points and convey energy can also betray you in important work settings, especially when it comes to landing the job. 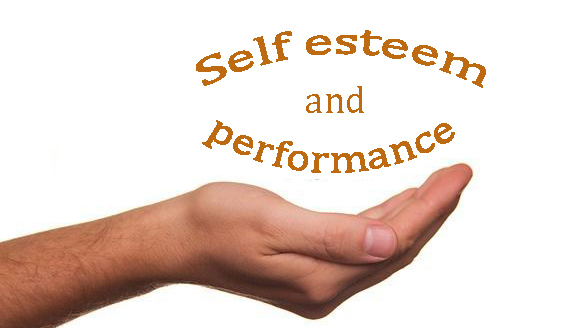 The concept of self-esteem has been around since about the 1940s and has been contested for almost as long. But whether or not our culture is responsible for ever-increasing self-worth issues, the fact remains that people with higher self-esteem have better work experiences than their less confident counterparts. In several studies conducted between 2005 and 2007, University of Florida professor Timothy Judge found that people with high core self evaluations, or positive self-concepts, had increased levels of job satisfaction, better job performance, higher income, higher work motivation and reduced stress and burnout.